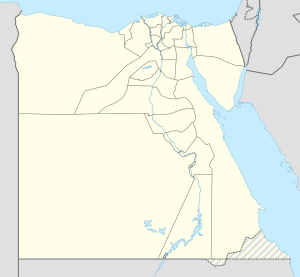 Hamrah Dom (Arabic: حمرة دوم‎) is a small village in Upper Egypt. It is situated near the city of Qena, about 80 kilometres north-west of Luxor. Located on the west bank of the Nile in the Qena Governorate. It is known for being near the Jabal al-Tarif cliff  in which the Gnostic Gospels of the Nag Hammadi library were found  by Mohammed Ali Samman in December 1945. Known to have been inhabited by the Hawara tribe at least during the period prior to and including 1945. This page was last edited on 1 December 2018, at 21:29 (UTC).